Frankengiraffewolf was an entirely new kind of monster. It had the fangs of a vicious wolf. It partially had the head of Frankenstein. It also had the body of a very huge giraffe. This 2700-word short story introduces a whole new kind of monster. It terrorized Africa with a ruthlessness that was unheard of. "Once upon a time a mad doctor roamed the heart of Africa searching for the perfect experiment. He was truly insane, but he was also an absolute medical genius. His name was Doctor Von Giraffenstein. He absolutely loved to experiment on cadavers and electricity. He was absolutely infatuated with the local wildlife of Africa. He especially loved giraffes. He liked how tall they were and how big they were. He also loved wolves, but he also liked human cadavers. He loved how sharp the fangs were inside of a wolf’s mouth. One night the mad genius had a very strange and mysterious dream. In that dream the mad man dream't that he created a vicious beast that was part, giraffe, and part man, along with some wolf in it. After that strange dream he was absolutely infatuated with creating such a beast. He was so infatuated he could never sleep, until he figured out a way to make his dream come true. Some say he took insanity to a whole new level." This was and is a crazy book and fun to read. The premise is silly, but, like the author told me once, "Nothing like creating a new kind of a monster." IIn film and television there is an overabundance of vampire stories. Many have degenerated into films about a virus or a plague where the victims show symptoms of vampirism. A few, like "Dracula Untold," keep the supernatural flair going. 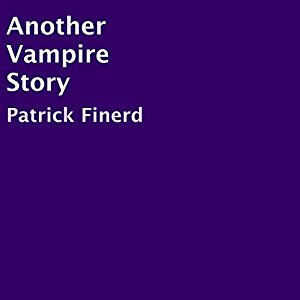 However, "Another Vampire Story," is a short story (34 minutes) by a writer by the name of Patrick Finerd. However, the story is short and simple but, shows another view of the life of a vampire. I liked the story enough to want to narrate it. Here is a short clip to let you know about the story. "The sky grew darker than normal as I made my way home from school. The wind was whipping and howling; scattering dead leaves in all directions. The branches on the naked trees waving as the brisk cool air swirled around me. A loud boom of thunder can be heard in the near distant, followed by a steady mist of rain bouncing off all surfaces." Although set in present day, the mood is set quickly with a sense of Gothic sensibility. 2017 is already looking up. Emma Watson stars a Belle in Disney's live version of "Beauty and the Beast." True as it can be..."
The researchers at universities in Durham and Lisbon, the story originated around 4,000 years ago. The best part is that Disney will retain the best part of its animated version...Music!!! 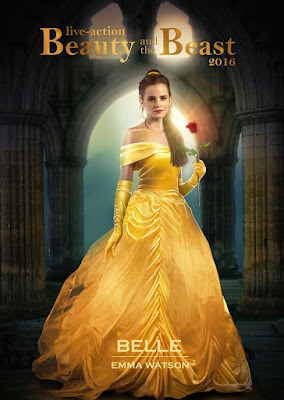 Harry Potter alum takes over as Belle, the thoughtful and well-read daughter of a merchant who must trade places with him as a prisoner of the dreadful Beast. "Downton Abbey" and the upcoming "Legion" TV series takes over from Robbie Benson as the Beast. The light of the Force comes to the film as Obi Wan Kenobi actor Ewan McGregor takes over for Jerry Orbach as Lumiere the candle. Mrs. Potts will be voiced by Emma Thompson replaces Angela Lansbury. Luke Evans of "Dracula Untold," and the "Hobbit" films fame voices Gaston, the self-centered creep who wants Belle for his own. As a father of two children who spent their pre-teen years in the 90s, Disney's "Beauty and the Beast" and "Alladin" are two Disney films that played a lot in my household. I guess nowadays that film is "Frozen." Alan Menken returns to score this live-action adaptation, which includes new recordings of the original songs in addition to new songs written by Menken and Tim Rice. Opens in the United States and theUnited Kingdom on March 17, 2017.